Agencies have been part of the marketing/advertising scene for many years. Dorothy Sayers even set one of her famous Sir Peter Wimsey murder mysteries (Murder Must Advertise) in an advertising agency, which she wrote more than 80 years ago, in 1933. Therefore it should be no surprise that agencies have spotted the increasing popularity of influencer marketing, with many traditional agencies widening their product offerings to embrace it. The popularity of social media also led to the arrival of agencies specializing in social media marketing. Influencer marketing is, of course, a natural offshoot of that. It would be impossible to include every agency in this article. 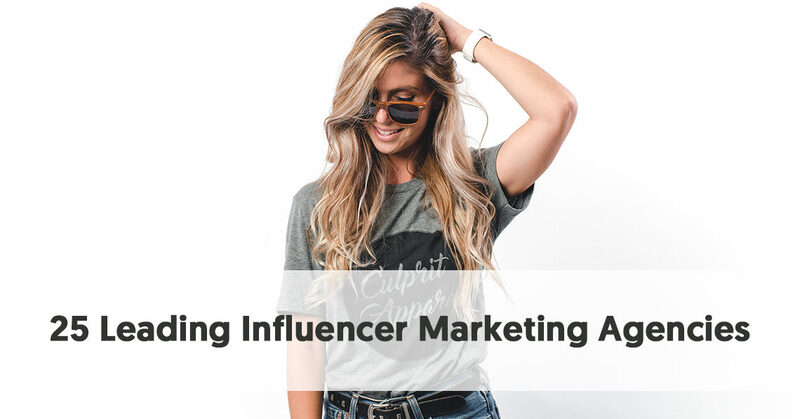 In particular, many of the big-name agencies will include influencer marketing in their client campaigns, but don’t specifically advertise the fact. Over time we will expand this list to include as many agencies involved with influencer marketing as possible. Florida-based influencer marketing agency, Americanoize, aims to take influencer marketing to the next level. They provide a combination of influencer marketing campaigns, influencer content marketing, and influencer event marketing. They include big-name companies in their client roster, including AT&T, Hitachi, Ray-Ban, McDonald’s, Samsung, and Apple. Americanoize helps their clients to strategize, create and execute influencer marketing campaigns that are effective. They begin by understanding and establishing the desired activity goal. They then help their clients to meet their goals and report tangible metrics. Americanoize connects brands with the people they believe make the best matching influencers. These are a mix of fresh/new voices, “on their way” personalities, already known characters, and well-established and experienced influencers. They also provide content through their digital magazine to promote brands, products and services with relevant and creative storytelling. Americanoize also believes exhibiting at an event or trade show is all about creating buzz and getting a brand as much exposure as possible. Influencer marketing is a key way to promote a company’s exhibition. Take Your Influencer Marketing To The Next Level: We help our clients to strategize, create and execute influencer marketing campaigns that are effective. Better ROI and more Brand Awareness. Viral Nation plays a dual role, acting as a global influencer marketing agency, working with influencers on Facebook, Instagram, Snapchat, YouTube, and Musical.ly, as well acting as a talent agency for the influencers themselves. Although they work globally, they do have physical offices in Toronto and New York. As a talent agency, Viral Nation represents and secures endorsements for top influencers. People who believe that they have influencer status can contact Viral Nation, asking the agency to represent them. Viral Nation also reaches out to others it believes to have influencer status, offering to work with them. They provide full social media representation for their influencer clients, helping them work with brands and ensuring they receive “proper” compensation. Brands and other agencies contact Viral Nation to assist them with their influencer campaigns. Viral Nation’s specialists create campaigns based on specific goals. They then pick the most suitable influencers to tell the brand’s story to their audience. They claim to have the highest level of analytics in the influencer space, to better help brands judge the effectiveness of their campaigns. Viral Nation is the premier Influencer Talent Agency connecting brands to influencers on Instagram, YouTube, Facebook and Snapchat. Influencer Marketing. HireInfluence is an award-winning full-service influencer marketing agency for the world's most prominent brands. It has been delivering expert strategies and industry-leading results since 2011. It is a full-service influencer marketing agency, specializing in customized promotional campaigns and consulting. HireInfluence has become the go-to partner for Fortune 1000 brands and top creative agencies across the USA and further afield. They work with a team of influencers across 12 countries and seven industry verticals, to spread their clients’ messages. They share content across most social media channels, using the best channel for each brand. They believe in fully customizing their services around each client’s objectives. HireInfluence has worked with influencers to document journeys across the Caribbean and Atlantic. Others influencers have become the center attraction at national trade events. HireInfluence’s influencers have even helped to build International exposure for characters like Batman and Scooby Doo. Carusele’s approach to executing influencer marketing campaigns is very unique. They have created a Content Performance Index™ to provide an algorithmic ranking of the influencer-produced content in each campaign, and use their Influencer Content Targeting System to help consumer brands meaningfully engage with their target audiences via influencer marketing. Carusele hand-selects influencers to create original content on behalf of a brand and share it with their social networks. They monitor all the posts in real time for performance, allowing them to rapidly identify the best content. They then boost proven content to ensure it reaches a brand’s best customers. They work with influencers to create promotions that incentivize user-generated content, discussions and sharing by target audiences, further spreading campaign messages. They work with a network of more than 55,000 influencers to produce authentic and original stories about brands. Learn how Carusele, a renowned influencer marketing agency, helps leading brands and retailers drive real sales results, guaranteed. Digital Visitor is a British agency involved with social media marketing, strategy, and influencer PR. They specialize in creating digital campaigns for brands, using social media to get brands noticed. They recognize the power of social media to amplify a brand’s voice, and that influencers are in a powerful position to help with this. Digital Visitor works with a network of UK bloggers, vloggers, Instagrammers and Pinners as social influencers to amplify brand stories to the most suitable audiences. They cover the full service for brands, providing a service for them from strategy to the influencer-based delivery. As its full name indicates, Everywhere Social Media and Influencer Marketing Agency focuses on creating campaigns promoting brands through social media, often leveraging the power of influencers for content distribution. As well as influencer marketing they provide services in social media strategy, community management, content strategy, social event marketing, social media ad planning and social media consulting. They have their own influencer network, Everywhere Society, with 3,000 members and a collective blog reach of 1.06 billion Americans, on topics such as lifestyle, fashion, beauty, food, parenting, family, and travel. Everywhere also uses their own software, Influencer Connect, to match brands and influencers for particular influencer marketing campaigns. 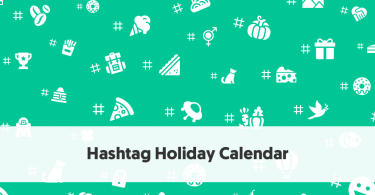 They work with influencers to promote sponsored content, operate ambassador campaigns, be part of social media marketing, spread the word about contests and promotions, hold virtual Twitter and Pinterest parties, and work as part of focus groups and crowdsourcing. Hello Society describes themselves as being engaged in influencer-powered social media marketing. They are a full-service agency, representing talented and influential creators across social media. They work with brands and other agencies to create campaigns that they use with their network of influencers. They have their own network of more than 1500 influencers, covering a wide range of niches. They choose their influencers on a combination of follower counts (ranging from 10K to 10M), audience engagement, and creation ability. Hello Society makes it a requirement that every content piece must be high quality and uniquely an influencer’s own so that it drives engagement and lends authenticity to the visual conversation surrounding a brand. They appear to place a greater emphasis on influencer-created content than many other agencies and platforms. They utilize a content creator network of 100,000 micro-influencers to help meet the brands’ needs. Their big focus is on video. People who think they are a social media influencer are welcome to apply to be part of their network. They work with dubdub to help video creators make better videos and to provide high-level analytics data. dubdub integrates product links into native influencer content and attributes each and every click. Hypertly lists L’Oreal, Starwood Sports, Baxter of California, and Inglot as recent clients. Ignite Social Media won the Social Agency of the Year award at the 2016 Incite Group’s Corporate Social Media Awards. That sums up Ignite’s all-encompassing social media focus. They have a long pedigree (in social media terms, anyway) beginning as The Original Social Media Agency in 2007. They set themselves up as what at that time was a very new style of agency, with an exclusive social media focus. They believe that social media is uniquely suited to allow brands to really connect with their customers on a deeper level and that quality content is necessary to speak to the passions of an audience. One of the ways they do this is through using their influencer network to generate and syndicate genuine branded content that is on-message but in the influencers’ voices and relevant to their particular audiences. IMA makes their purpose very clear in their name. They claims to be the leading agency for digital influencer marketing. They are full service, taking a campaign from defining goals and objectives through to completing the campaign execution. IMA’s Global HQ is in Amsterdam and they have a largely European focus. 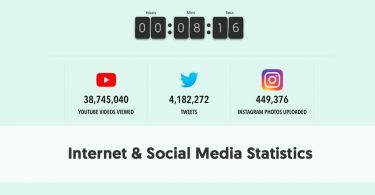 They operate a network of more than 12,000 influencers, who, according to IMA”s website, has a combined social following of 6.9 billion people - although there must obviously be some duplication of followers, considering the entire world population is not much greater at 7.6 billion. Actually, the website makes the dubious statement that their influencers have the combined reach of over 6 trillion consumers, which has to be considered a case of poetic license, with the Population Reference Bureau estimating that about 107 billion people have ever lived. IMA has a strong client roster including Diesel, Nivea, Timex, Samsung, TomTom and Calvin Klein. INF Influencer Agency is a Canadian agency, that recognizes the importance of influencer marketing, and has made it a business focus. They work in partnership with The Feldman Agency, a North music management group with over 40 years in the entertainment business, who handles artist representation, talent management and booking, event services and corporate consulting. INF is more of an influencer management agency than an advertising agency, in many ways working like a talent agent. They help to grow their influencers’ personal brands, develop opportunities and manage offers. Jin is a European agency with offices in Paris, London, and Hamburg. They describe themselves as a Digital PR and Influence agency.They offer services in inbound marketing, reputation management, influencer marketing and providing insights. Jin uses proprietary influencer discovery software called Plugr to help brands find the most suitable influencers for their audience. Plugr analyses conversations and media in real time to provide clients with consumer insights. One of its features is influencer mapping, where it maps the main digital influencers on a certain subject or brand, to understand who and what is shaping public opinion. Jin includes Bic, eBay, Ricoh and Roche as clients. Mediakix was established as an influencer marketing agency in 2011, and since then has built a high profile. 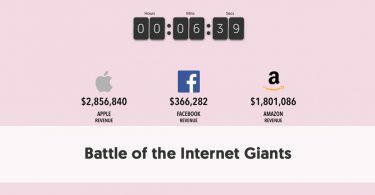 They strategize and build campaigns for top brands to engage with their target audiences on YouTube, blogs, Instagram, Snapchat, Vine, and Facebook. 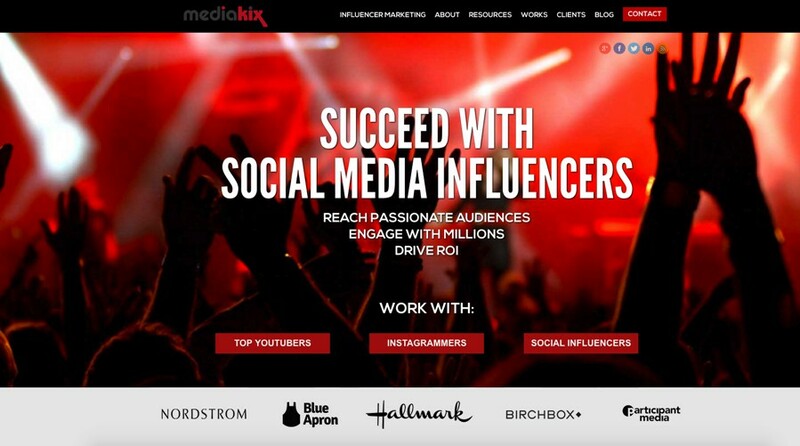 Mediakix has created influencer marketing campaigns for clients including Nordstrom, Blue Apron, HauteLook, David Yurman, Birchbox, Indiegogo, Hallmark, NatureBox, Sleep Number, and BarkBox. They offer their clients services ranging from initial strategy to campaign execution and analysis. They place a particular focus on YouTube, offering brands the opportunity to create custom YouTube sponsorships, and to partner with top YouTube influencers. With one of the more unusual names in the industry, Parental Influence is a specialist influencer marketing agency, which focuses on influencer marketing, social media management, and digital consultancy. They continue the “parent” metaphor by describing their role as “marrying brands and social influencers together to make one big happy family”. They emphasize the human side of influencer marketing, over the technology focus promoted by some other agencies. They welcome genuinely creative influencers to apply to be part of their network. They offer each brand a tailored solution to their online marketing needs and can walk brands through the entire influencer marketing process. They also offer brands social media management services. Passion Digital is a London-based digital marketing agency, which also operates in Spain. They offer a wide range of digital services, including PPC (Pay Per Click), SEO, Social Media Services, and Web Design and Development. One of their social media offerings is Influencer Marketing. Passion Digital has access to a broad network of influencers to work with brands in spreading their message. They also use their digital research and social monitoring tools to find other suitable influencers. They then help their clients by managing their campaigns, using the bloggers, vloggers, Instagrammers, and celebrities of their clients’ choice. Pulse explains their name as being a result of them being at the pulse of social media. As with most of the specialist influencer marketing agencies, they have a network of influencers who they can call to assist in spreading their brands’ messages. Pulse breaks its services down into Brand Awareness, Brand Positioning, Market Entry, Product Launch, and Social Strategy. Similarly, they break their process into steps: Social Strategy, Kickoff, Campaign Concept, Influencer Selection, Content Creation, and Reporting. They can claim quite a few high profile names amongst their clients, including Unilever, Daimler, Adidas, Puma, Gillette, Huawei, and Swatch. The above quote comes from The Matrix and takes its meaning from popular culture where the red pill represents knowledge, freedom and the sometimes painful truth of reality. London-based Redpill clearly believes that they provide consumers with campaigns that enliven them and open their minds, rather than brainwashing them. They claim to be London’s leading agency for branded content and influencer marketing. 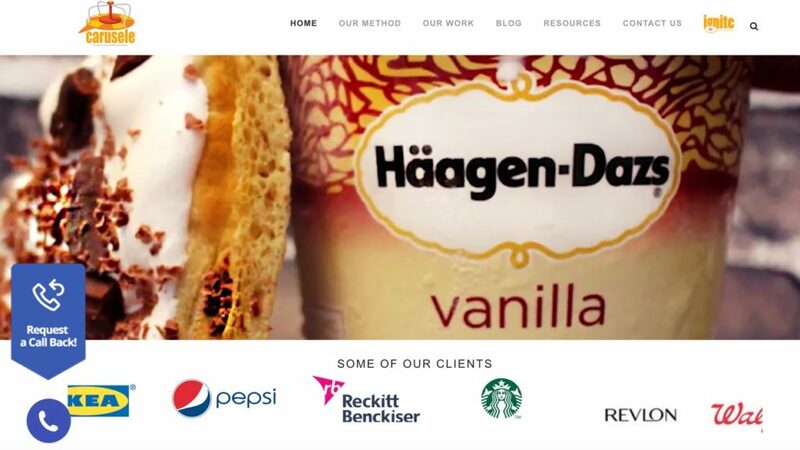 With clients like Coca-Cola, Jaguar, Samsung, and Heineken, they have clearly produced results to attract the big brands. Redpill’s clients have access to their in-house selection tool that recognizes more than 26,000 influencers across YouTube, Facebook, Twitter, Instagram, and Snapchat. Redpill has a strong creative team to help produce material for the influencers to share. They began as a production company in the early days of YouTube and grew into a full-service production house and content marketing agency. Redpill works with over 39,000 publishers, vloggers and social influencers across 57 territories, amassing a combined reach of 3.7 billion people. Venice, California-based Rosewood Creative believe themselves as being the new generation of social media marketing. They provide services for brands in the areas of social media management, content production, and influencer marketing, often mixing up all three streams for any particular campaign. Rosewood calls themselves “...a collective of creative and passionate storytellers who craft premium, authentic, and strategic social media narratives that drive emotional connections with consumers, resulting in social shareability.” They develop strategies, content and influencer campaigns for quite a few big-name clients, including Apple, Sony Pictures, Nike, Red Bull, Dr Dre, Lady Gaga, and Toyota. Sprout Content is a Platinum level Hubspot inbound marketing agency that, in an unusual twist, specializes in creating content for businesses in “unglamorous industries”. They provide a variety of services including content marketing, inbound marketing, performance content, influencer marketing and web development. With their focus firmly on unglamorous industry firms, their main influencer marketing impetus tends to be the B2B sector. Sprout Content recognizes that although may B2B firms blog, few have a huge reach with their content. Influencer marketing gives B2B firms a great opportunity to position their content in front of their potential clients’ decision makers. They help businesses build up natural relationships with prominent business sites and people influential in their usually narrow niche. Stryde is an audience focused eCommerce digital marketing agency, based in Salt Lake City, Utah. They work with eCommerce businesses ranging from startups to enterprise sites. Their list of services includes content marketing, SEO, PPC, social media, and influencer marketing. They believe that success isn’t built on one of these areas alone, but that each of the components works to support and feed the others. This means, for instance, that that may well build up a content strategy and create content as part of their content marketing, optimize it as part of their SEO services, and put together a social media strategy, which includes distributing it via influencer marketing. The particular services they place under Influencer Marketing are Influencer Identification and Selection, Campaign Creation and Execution, Influencer Outreach, and Performance Tracking. They work with influencers on Facebook, Instagram, and Blogger. Team Epiphany’s website certainly gives an eye-catching first impression of their work. Based in New York and Portland they have managed to snare quite a few big-name clients in their decade of operation. These include Moet & Chandon, Heineken, Cadillac, HPNOTIQ, Nike, Hennessy, JBL, HBO, and Tanqueray. They describe themselves as creating specialized marketing poised for mass adoption and are about amplifying influence and leveraging the networks that create it. Their areas of focus are Creative Services, Brand Strategy, Experiential (things like special events and pop-ups) Social Media, Influencer Engagement, and Public Relations. One example of their influencer marketing was for Cadillac. In recognition that luxury nowadays tends to be subtle, rather than flashy, Team Epiphany wanted their luxury Cadillac promotion to appear to be aimed at “the select few”. Hence, they utilized influencers who appealed to those “select few”, for example, fashion influencers. They also wanted to ensure that this emphasized the modern new world and ensured that they used a genuinely multicultural selection of influencers. For New York Auto Week, Team Epiphany highlighted Cadillac’s ELR - an upscale electrified coupe - by utilizing four highly-influential photographers—Liz Eswein, DJ D-Nice, Jonathan Mannion, and 13th Witness to document a week with the car. As their name suggests, The Motherhood is an all female agency, utilizing the power of women online. It was founded in 2006, on the basis that a group of women online could make a big impact. Somewhat appropriately, their first campaign was for Huggies Diapers and was strongly targeted at online moms. Since that initial campaign, The Motherhood has worked to connect prominent organizations with women. They emphasize that they are not interested in automated influencer marketing. They consider themselves to be a boutique agency that applies the human touch to vetting their influencer lists, to the point of checking to see if a blogger’s child has lactose intolerance before suggesting they blog for a dairy campaign. The Motherhood views influencer marketing as a very human, very personal discipline. Compared to many of the agencies listed here, TopRank Marketing is positively ancient, having been established in 2001. They are a digital marketing agency, with a large emphasis on B2B companies, although they do work for B2C companies as well. Their clients range from funded start-ups to Fortune 50 brands. They use what they call the Optimize 360 Model as their marketing approach - which is basically Attract, Engage and Convert. They place their digital marketing services into the following categories: Content Marketing, Search Engine Optimization, Social Media Marketing, Influencer Marketing, Digital Advertising, and Website Analytics & Conversion Optimization. As its name signals, Billion Dollar Boy places its focus on influencer marketing to male audiences. As such, it concentrates on those niches that males generally prefer - lifestyle, automotive, travel, food and drink, fashion, health and fitness, gaming, technology, sport, music, style & grooming, and comedy. This is clearly a large enough audience, as Billion Dollar Baby has offices in London, New York, Istanbul and Sao Paulo. The teams in those cities create influencer marketing campaigns for a wide range of male-focused brands. Their creative strategists work with brands to choose suitable influencers who will develop creative ideas for campaigns, and they also work with the influencers to decide on the optimal distribution strategies. Billion Dollar Boy has developed an influencer network of 4,000 influencers, all in these male-oriented niches. It is an opt-in network, and people who believe they have the reach are welcome to apply. They use their in-house software, MatchMaker to determine the best influencer fit for any campaign. Ykone is an international creative agency for digital content and influencer marketing, with an emphasis on fashion, luxury and beauty brands. They have offices in Paris, Berlin, London, New York, Copenhagen, and Bangalore. They develop influencer campaigns for well-known brands, such as L’Oreal Paris, Dior, Swarovski, and Marc Jacobs. They use their proprietary software, Campaygn, to analyze the audience and universe of more than 50,000 influencers, with 1.2 billion followers, in real time. Ykone then adds additional information to the database for the top 5,000 influencers manually. The company was founded by Olivier Billon in 2008 and claims to be the first influencer marketing agency. The “Y” in the company’s name represents Generation Y, who were the young adults finding a love of fashion, luxury, and beauty at the time Ykone was created.